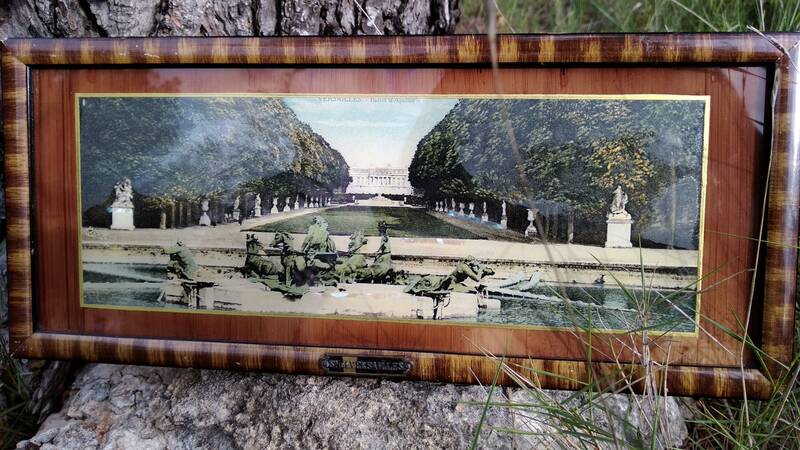 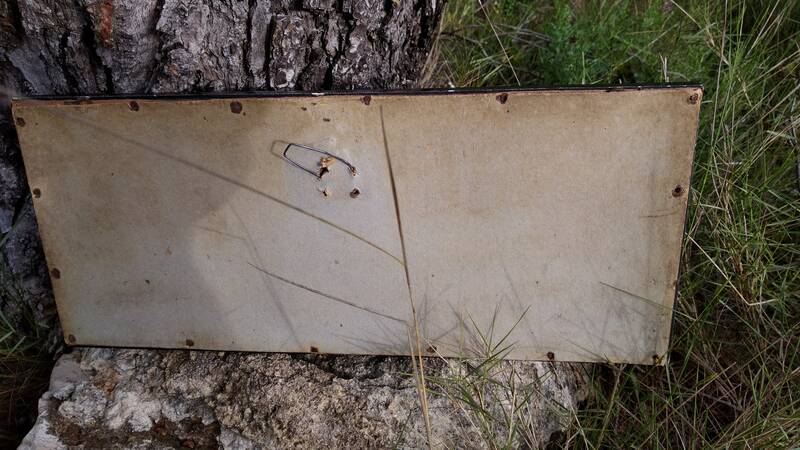 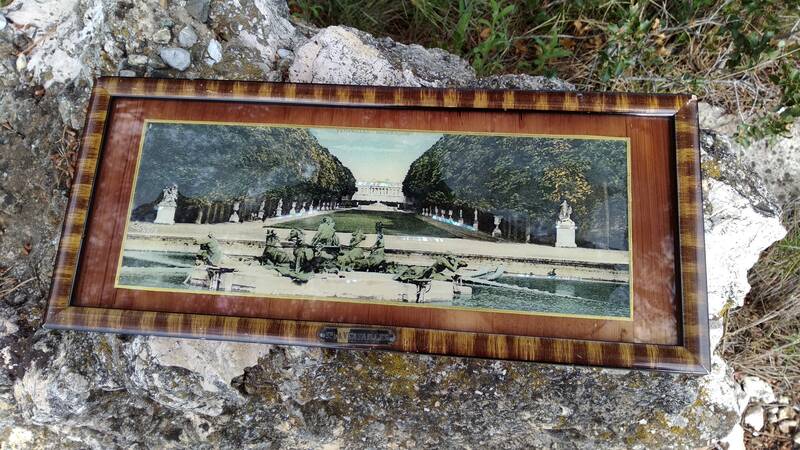 1920's photo is decorated by mother of pearl parts. 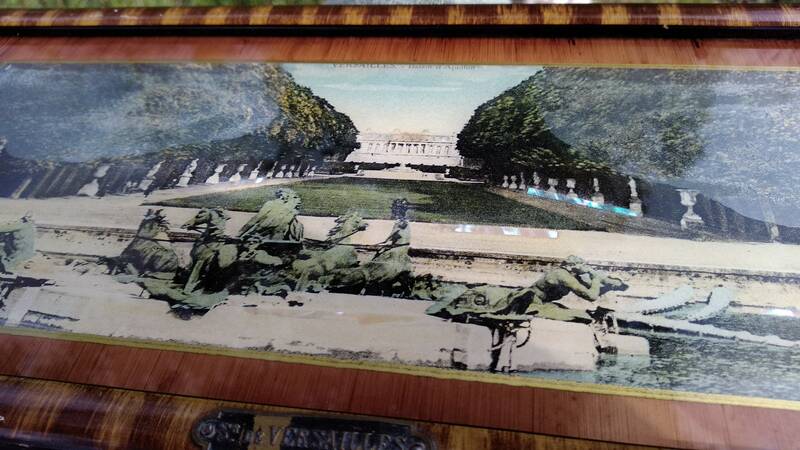 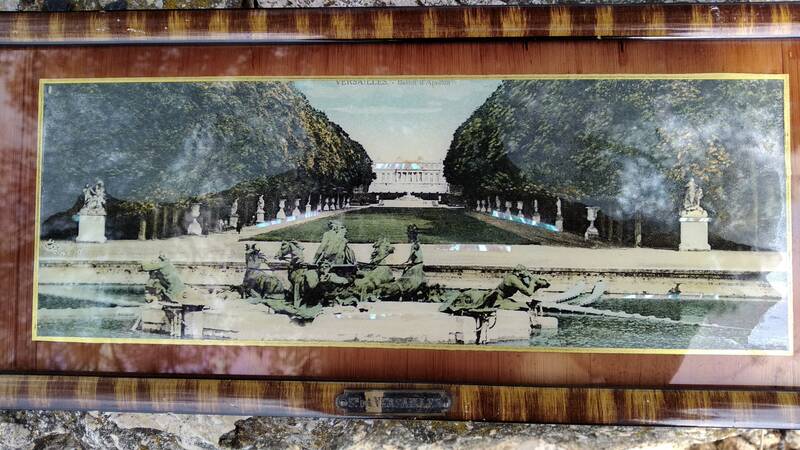 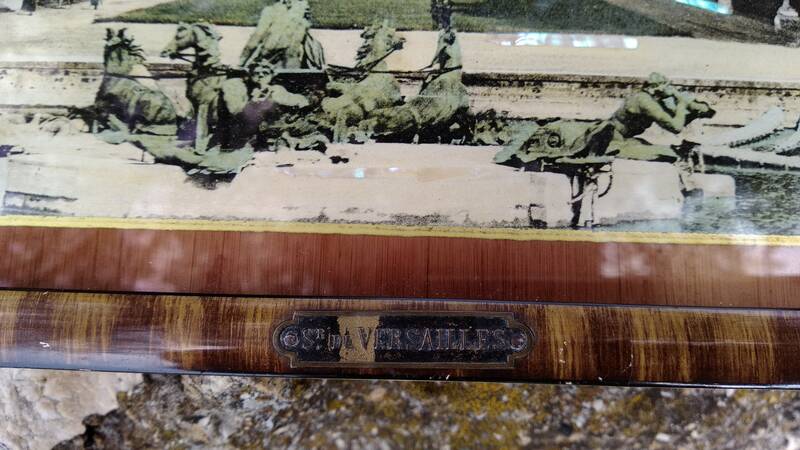 Metallic front tag : "Souvenir de Versailles"
Photo is in good vintage condition frame is in vintage condition. 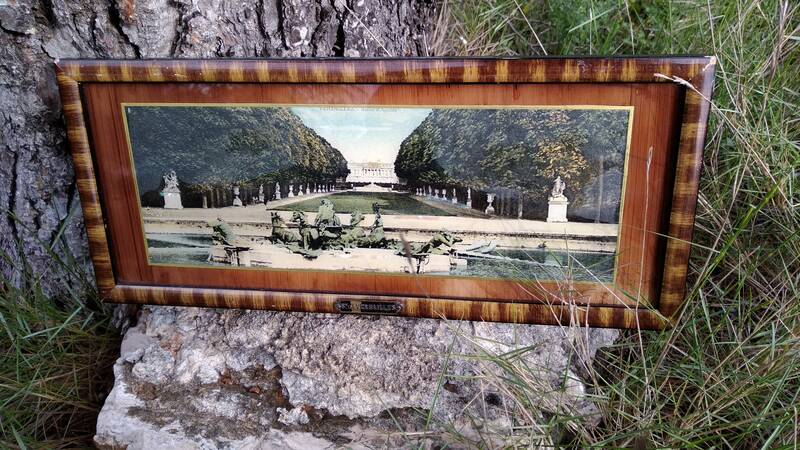 Size : 6 x 14 in. 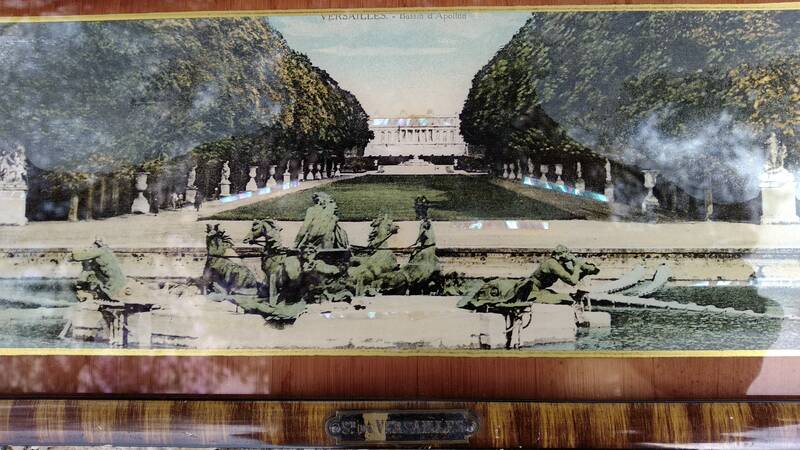 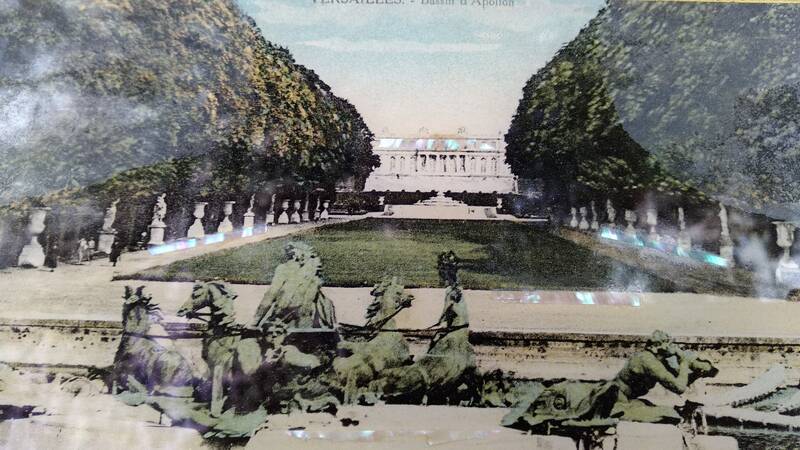 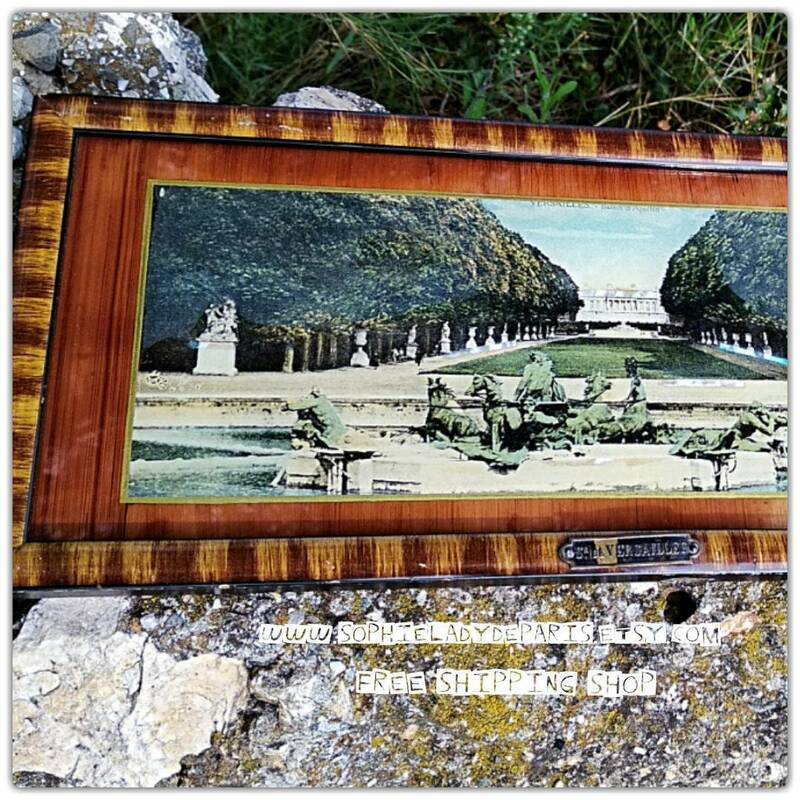 Very original and very unique Paris Versailles Castle Souvenir !